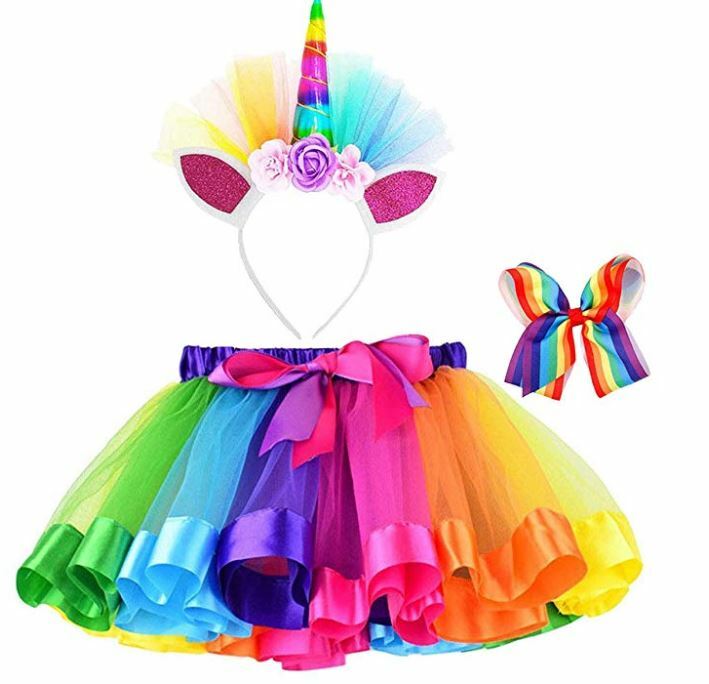 Check out this adorable Girls Rainbow Tutu Skirt with Unicorn Headband and Hair Bow on sale for $9.99 with the coupon code: F7GTIJHP at checkout. This code expires on October 12th so hurry over to get yours. These rainbow classic tutus are very light and fluffy and the elastic waistband means the tutu pulls on easily to dress up any outfit at any time, either for pictures or play time. The perfect gift for your little girl's make believe dancing fairy games, and even if she ends up sleeping in the tutu. Great for Halloween too! – Made by colorful tulle with layered design. – Elastic waist can fit kid at different ages,pls pay attention on the size. – Perfect for dance, ballet, costumes, dress up, jazz and tap, photo shoot, color run, party favors, and so on.